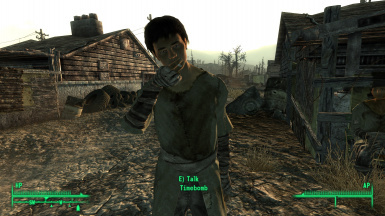 Only NPCs included in the Smoker Faction by Bethesda will smoke cigarettes, as originally intended. Other NPCs will not smoke. You have my permission to include this bugfix in your own mod, but you must credit me. You may not expand upon this mod's features or convert it into something else without my permission. 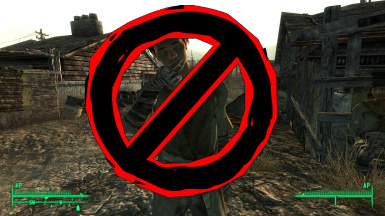 Bethesda included a "SmokerFaction" in the game that was supposed to list which NPCs are eligible to use idle animations for smoking cigarettes. Two of the smoking idle animations in the game do list SmokerFaction as a requirement, but the "LooseSmokingStanding" idle did not. Because of this, any NPC that interacts with a smoking idle marker will begin to smoke, even if they aren't smokers: for example, Big Town's Timebomb, Kimba, and Sticky. This mod adds SmokerFaction as a requirement to the "LooseSmokingStanding" to match the other idle animations and prevent non-smoking NPCs from lighting up. 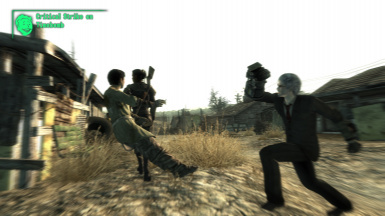 It also adds Jericho to the SmokerFaction, since Bethesda gave him packages that directly indicate his ability to smoke. 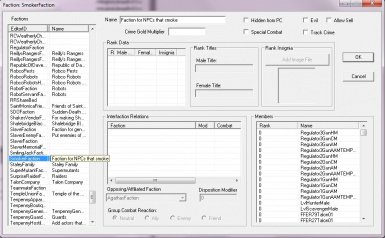 Download one of the files and extract the .esp to your Fallout 3\Data folder. Activate the .esp through your game launcher or mod manager. If you use Broken Steel, download the Broken Steel version of this mod, which affects the Broken Steel version of Jericho. If you've killed Jericho or have no intention of ever using him as a companion, it doesn't matter which version you use. Do not use this Bug Fix in combination with my "No Smoking" mod; the Bug Fix is already incorporated into No Smoking, so the mods will conflict with each other. 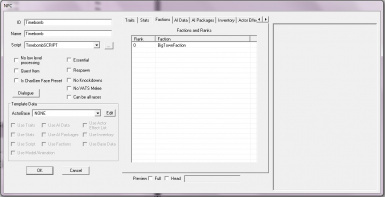 May conflict with other mods based on your load order. Help make this mod better by reporting any bugs it causes. If you're looking for something with more of an effect on your game, my "No Smoking" mod prevents even more NPCs from smoking. One version affects all NPCs in the game, another allows most of the "bad guys" to smoke, and the last replaces cigar-filled ashtrays with regular ashtrays. WARNING: Do not use this bug fix in combination with "No Smoking". The bug fix is already included as part of No Smoking, and the mods will conflict with each other.